アクセス – MAPLE Kids English!! The bus is called Town Sneaker. The route is the 南コース (South course) and the bus stop number is #59 Susukigawabashi-minami. 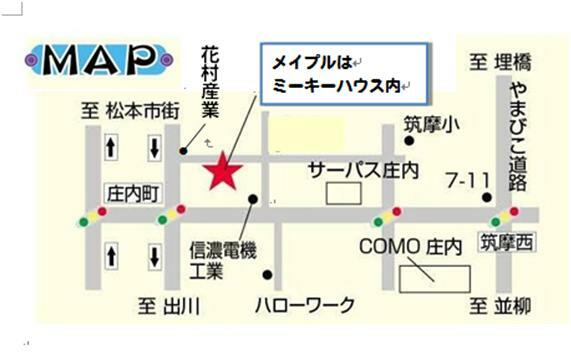 Please call us at MAPLE 0263-28-3346 if you would like more directions.